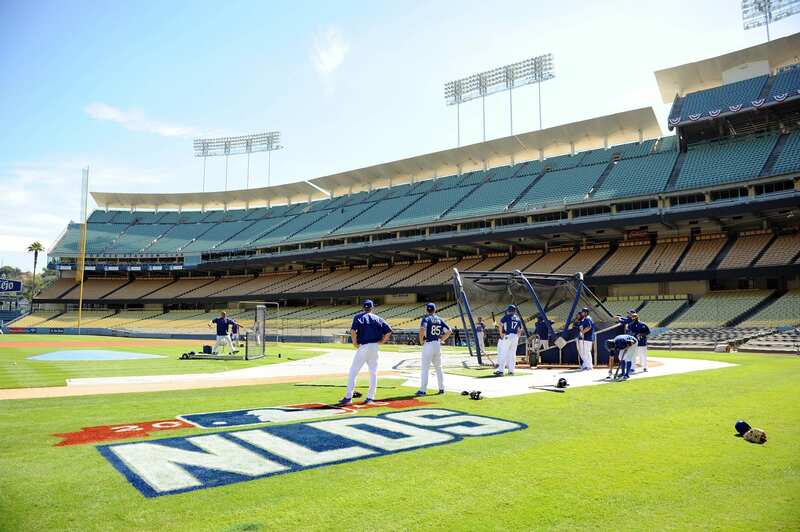 The Los Angeles Dodgers officially announced their 25-man National League Division roster on Friday afternoon, roughly six-and-a-half hours prior to first pitch of Game 1. 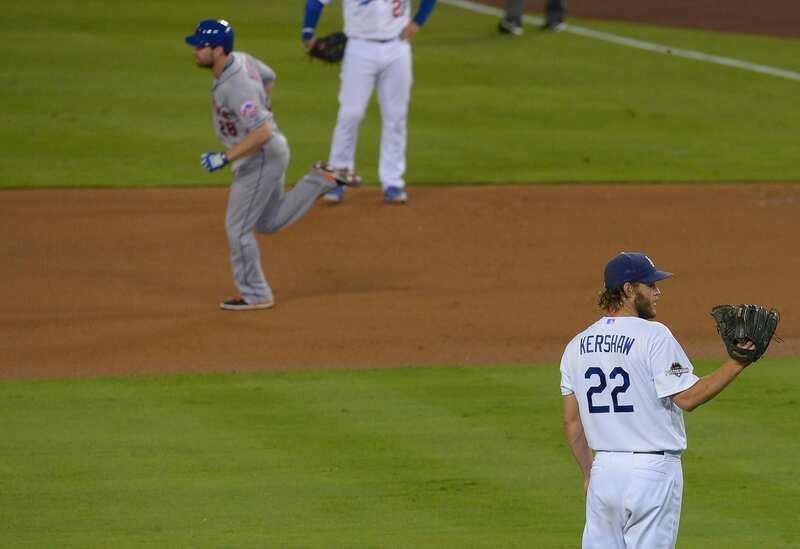 Some names were known earlier in the week when the Dodgers announced Clayton Kershaw, Zack Greinke, and Brett Andseron would start the first three games of the best-of-five series against the New York Mets, in that order. The only mild surprise involves Peralta getting the nod ahead of Juan Nicasio. 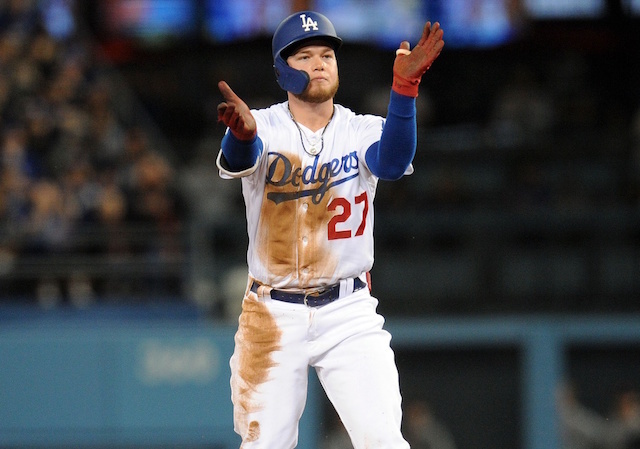 However, Dodgers manager Don Mattingly explained prior to Game 1 there is more faith in Peralta than Nicasio to retire left-handed batters, which the Mets have in their regular lineup. Mattingly added Carlos Frias was left off the Dodgers’ NLDS roster in that same vein. As for the group of outfielders, once it became evident Scott Van Slyke’s wrist would not heal in time, the Dodgers were essentially left no other option but to take Ruggiano and Puig. Ruggiano has hit left-handed pitching exceptionally well since being acquired by Los Angeles, while Puig is a game-changing talent; when healthy of course. 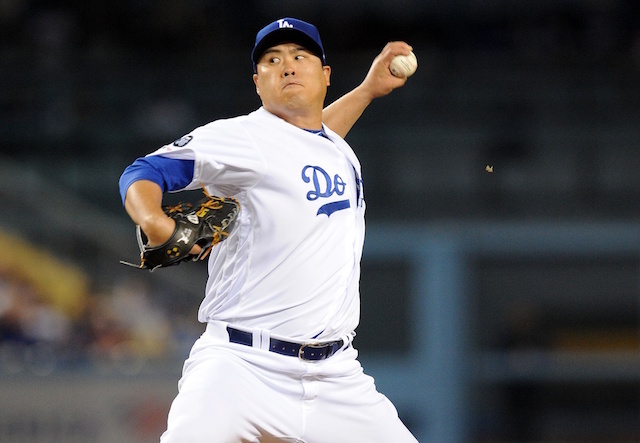 He missed 34 games due to a strained hamstring before getting reinstated Oct. 3. 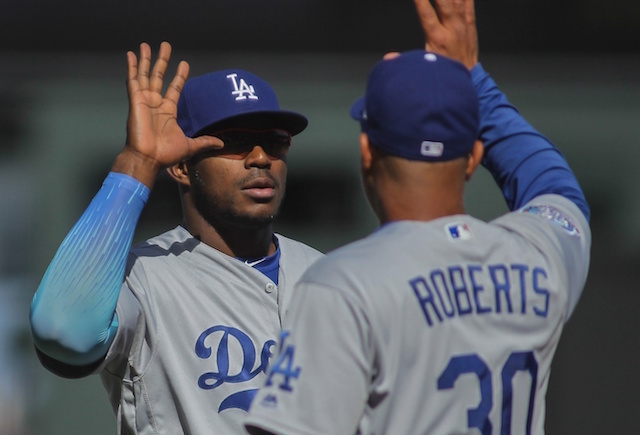 Both Dodgers general manager Farhan Zaidi and Mattingly assert Puig is healthy, despite the limited action he saw with the club upon returning. The Dodgers’ balanced roster of six right-handed batters, six who hit left-handed, and two switch-hitters, will face a Mets pitching staff that only has two left-handed pitchers in rookie starter Steven Matz and veteran Jonathon Niese.